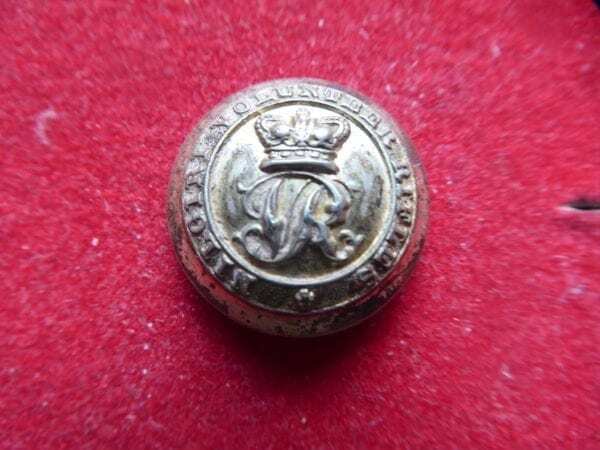 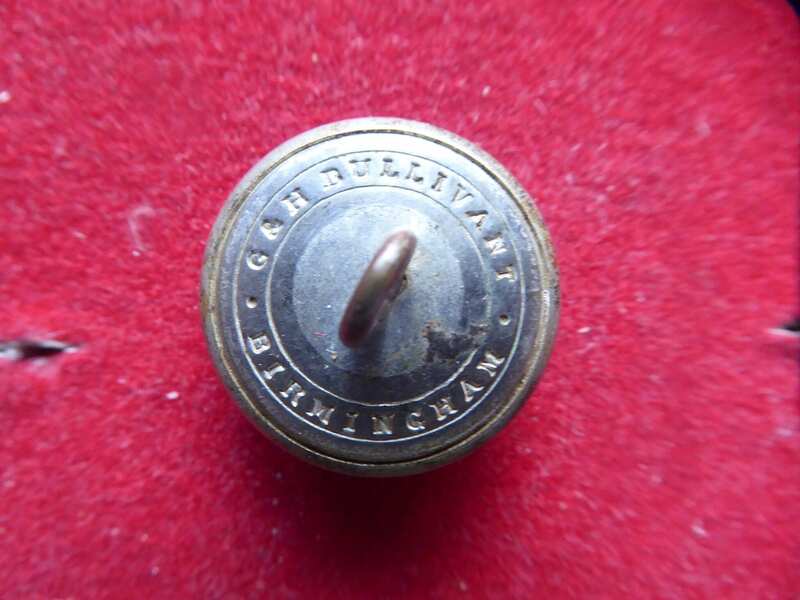 The button has the design of a VR cypher beneath a Victorian crown, all within a a circle bearing the regimental title. The backmark is G & H Bullivant, Birmingham. 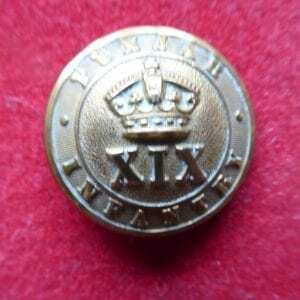 The regiment, one of those raised from British residents, was raised in 1878 in the Madras Presidency. 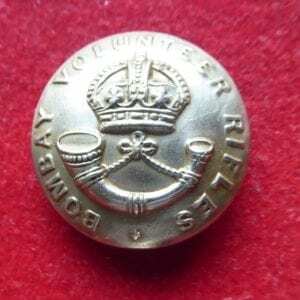 19th Punjab Regiment, large officer’s gilt button.